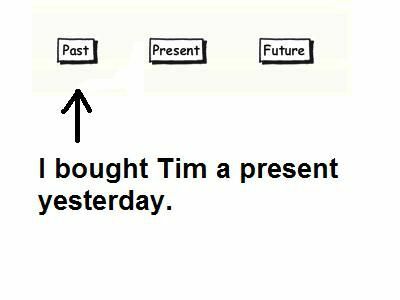 There are two principal past tenses used to make general statements about the past: The past simple and the past continuous. The two tenses are quite different. Use the past simple to talk about an event which happened at some point in time in the past. Tom flew to Chicago last week. Peter visited his friends in Florida two months ago. If you are a teacher, use this guide on how to teach the past simple tense for more help. The past continuous is usually used to refer to events happening at the same time that something important happened in the past. They were doing their homework when she arrived. Jack was studying while Dave was cooking dinner. The past continuous is also used to express what was happening at a precise moment in the past. I was attending a lecture at 2.30 yesterday afternoon. Alice was reading a book at six yesterday evening. If you are a teacher, use this guide on how to teach the past continuous tense for more help. I, You, He, She, We, They > played golf yesterday afternoon. I, You, He, She, We, They > went lunch at noon. I, You, He, She, We, They > didn't go on vacation last summer. (Why, What, etc.) + did + Subject + Verb + Objects? Did > I, you, we, they > attend the meeting last week? Subject + conjugate the helping verb "be" + verb + -ing. I was, You were, He was, She was, We were, You were, They were > watching TV when I arrived. Subject + conjugate the helping verb "be" + not + verb + -ing. I wasn't, You weren't, He wasn't, She wasn't, We weren't, You weren't, They weren't > working when he came into the room. What > were you, they > doing at seven o'clock? What > was I, he, she > doing at seven o'clock? These guides were prepared especially for beginners and include dialogues and a short quiz. Here are lessons on the site which focus on the past simple or past continuous and their use with other tenses. Then - Now - integration lesson for upper-level students. Time Expressions - past simple and present perfect compared and contrasted. Integrating Past Continuous - integrating past continuous into writing. Guilty! - communication lesson using a variety of past tenses. What Were You Doing? - Use of the past continuous in combination with the past simple. A Holiday in Italy - Describing a past holiday.